El Rojo | Griffin Claw Brewing Co.
Erik Karlsson has said his good byes to Ottawa and is heading to California to play for the San Jose Sharks. 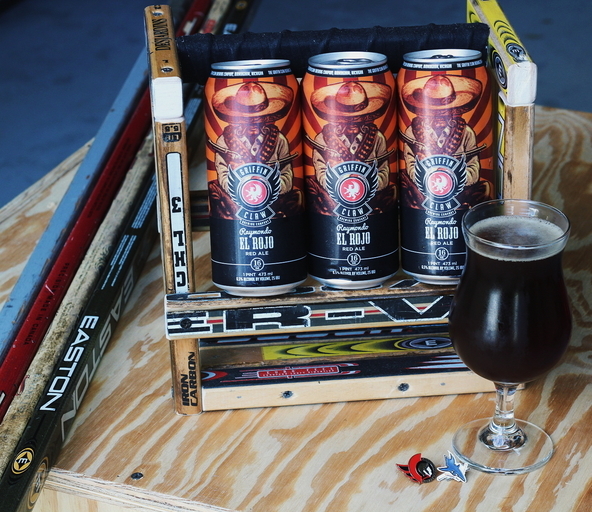 As you look for number 65 on the ice to see this defense man play, you can enjoy a beer with 6.5% ABV too. Fill up with a El Rojo from Griffin Claw in Birmingham, Michigan. This 6.5% ABV red ale has a caramel taste and roasted malty notes for a balanced flavor. A medium body and carbonation is packed in to keep your taste buds entertained as the game goes on. 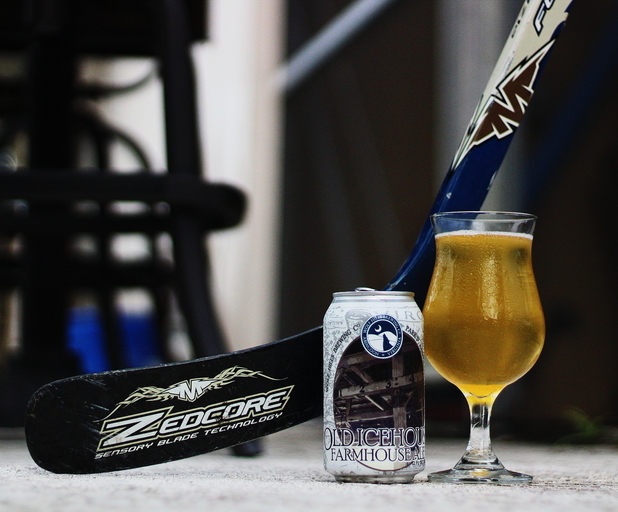 Olde Icehouse | Wolf Hills Brewing Co.
Now that we have covered a Michigan craft beer, it is time to bring light to a Michigan player that is ready to strive for the Red Wings this season. 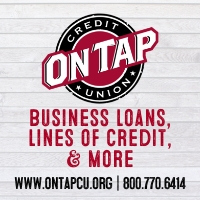 With Mantha’s big goals, a drinkable beer to stay focused on the game is needed. We got you covered with an easy farmhouse ale to drink while we see how things play out. Olde Icehouse is a 3.9% ABV farmhouse ale with light malt and hops but the game changer is the traditional Belgian yeast strain that brings out the spicy notes in this beer. There is no surprise Wolf Hills Brewing Company is behind this fresh brew. We are pouring this in a tulip to reveal the beautiful color. 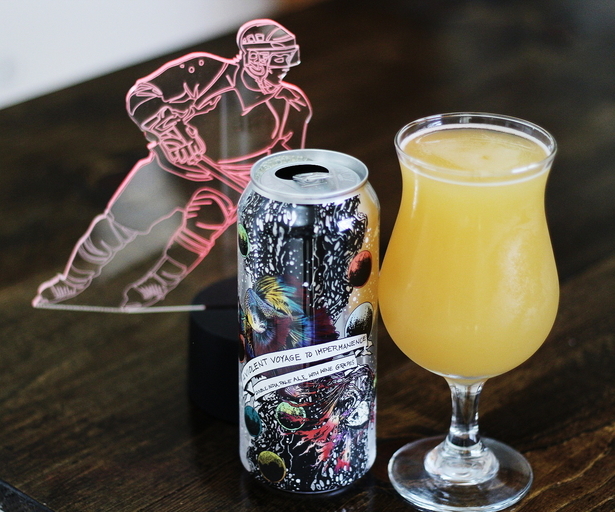 A Violent Voyage to Impermanence | Burial Beer Co.
Edmonton Oilers have kept the excitement going starting from the beginning. Part of that excitement is thanks to their right winger Ty Rattie. As a Double IPA tastes better with every sip, the interest to see this player get better with every game would be fun too. 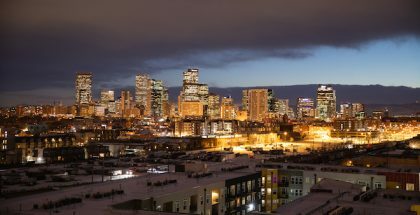 No need to pile on pressure, enjoy what the Oilers will have to offer this season. Rattie is starting off strong so let’s drink a beer to match. A Violent Voyage to Impermanence is a DIPA with wine grapes that delivers a floral, hoppy taste. A kiss of wine plays into the finish of this beer and it has enough body to embrace every flavor. Burial never fails to deliver the aesthetics and that shows in the color of the beer and the beautiful can art. It is a DIPA so that 8% ABV is just the perfect range to let you take your time to enjoy this. Milkshake Stout | Rochester Mills Beer Co. If there is a player Florida fans are anticipated to watch this season, Aaron Ekblad would be a good choice. I am sure most fans will have their eyes peeled during most games but there is a game at the end of December that all hockey fans may be interested to see or hear about. Keep your palate quenched while you’re watching with a Milkshake Stout from Rochester Mills. 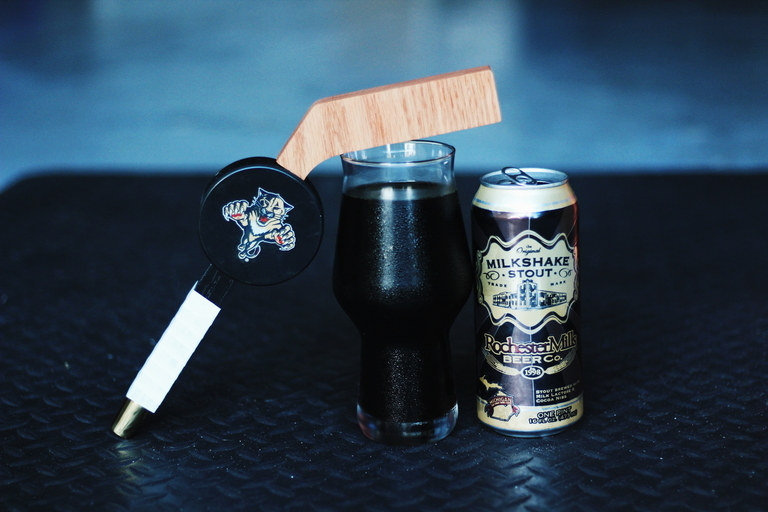 Strong defense players need a full-bodied beer to match and Rochester Mills did not fall short of that with their Milkshake Stout. Along with the full body, sweetness and roasted chocolate notes keep you sipping for more. This beer has a creamy mouthfeel and a 5% ABV to keep things smooth even during the most crucial moments in the game. Sunset Saison | Satulah Mountain Brewing Co.
A positive outlook can go a long way. Brent Seabrook will play with the Blackhawks and leave his injury is the past. A great example of moving on up comes from a player who knows a thing or two about winning. It is a good feeling but it is important to stay grounded. 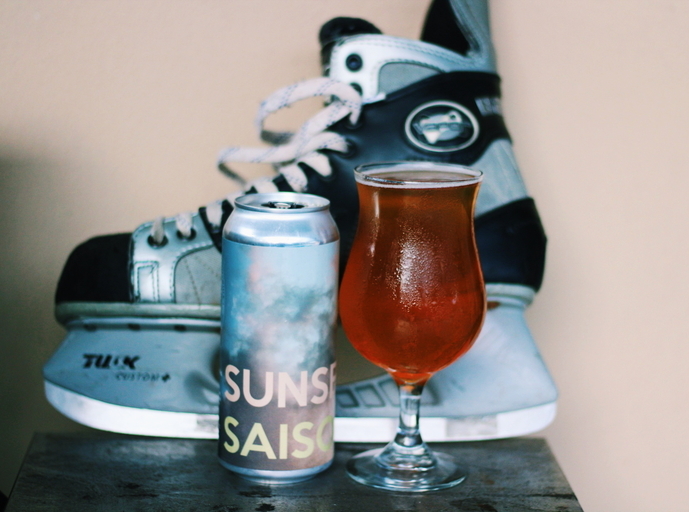 Sunset Saison is a great beer to keep things down to earth while at an intriguing elevation. At an elevation of 4118 ft., Satulah Mountain Brewing has crafted a special saison that is really fresh and earthy. 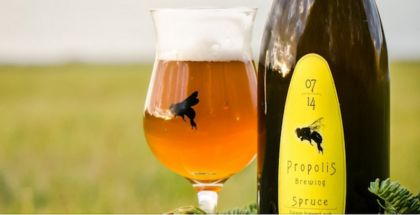 This farmhouse ale has parsley, sage, rosemary and thyme that create a unique blend of herbal notes. The gorgeous golden color is revealed in a tulip glass. 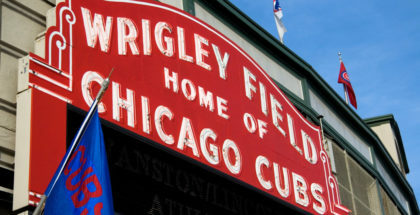 Vaudevillian | Gypsy Circus Cider Co.
New players can rally up excitement for fans and the team. Check out 63, Matthew Peca this season do that for the Montreal Canadiens. 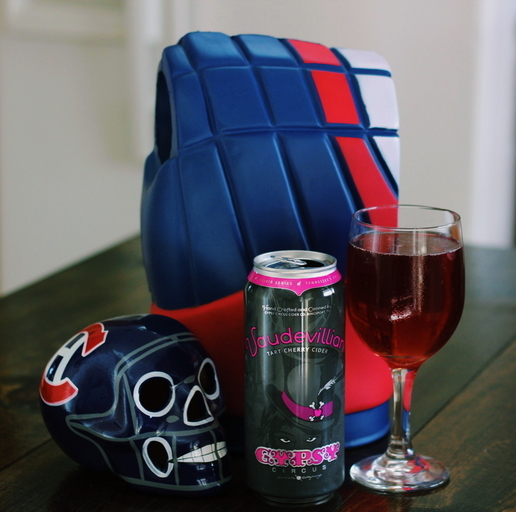 It would be sweet to see Peca continue to make goals for the team and a sweet cider with a kick would pair just perfectly. Sip along while watching this player prove his position for the league. A winning cider should do fine here and Gypsy Circus Cider Company has a double gold award winning can of greatness to crack open. The 6.3% ABV tart cherry cider has a bubbly semi-dry taste with a little sweetness. This is sessionable for a cider but packs a punch with the tart flavor.